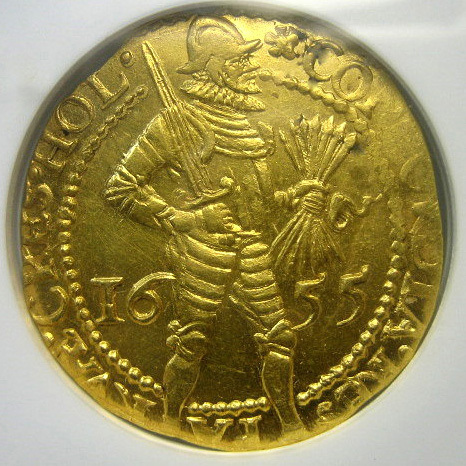 The Early Modern period is marked by a return to realistic portraiture, an explosion of trade and trade coinage, and aggressive conquest and colonization in search of gold. 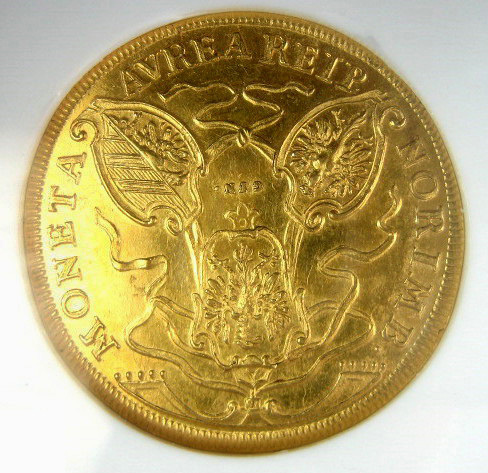 Spain and Portugal found lucrative sources of gold in South and Central America, while France and England settled North America in the disappointed expectation of the same. 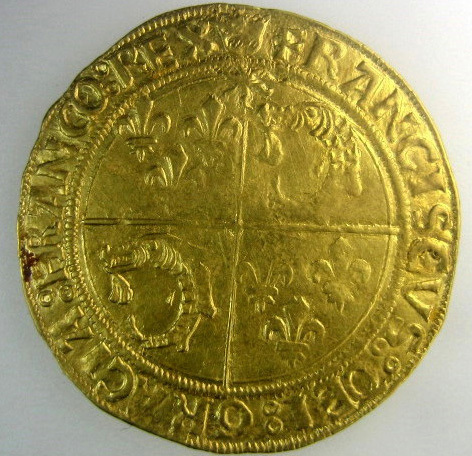 From about 1450-1530 the Portuguese currency dominated world trade; from 1530-1640 the Spanish currency did the same. France reverted to a tried and true means of acquisition - war and confiscation - which made Louis XIV the richest king in Europe. 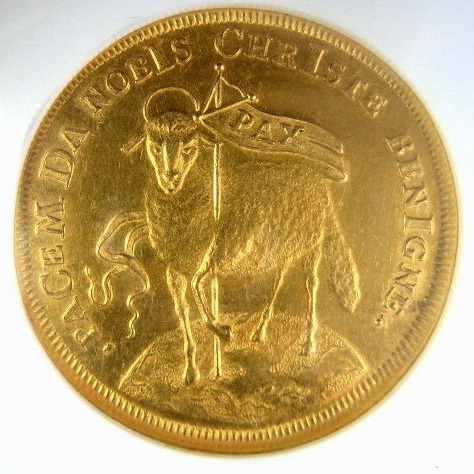 The French currency came to dominate world trade by the middle of his reign until the after the time of Napoleon. 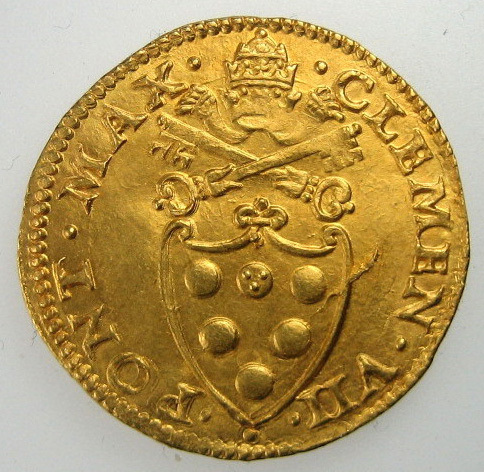 The English traders found a great source of gold in West Africa (Guinea - hence the English Guinea). 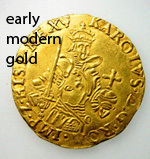 India too provided Portugal and England with gold accumulated from centuries of international trade. And the seizure of Spanish ships loaded with gold led to twenty years of Anglo-Spanish naval war. 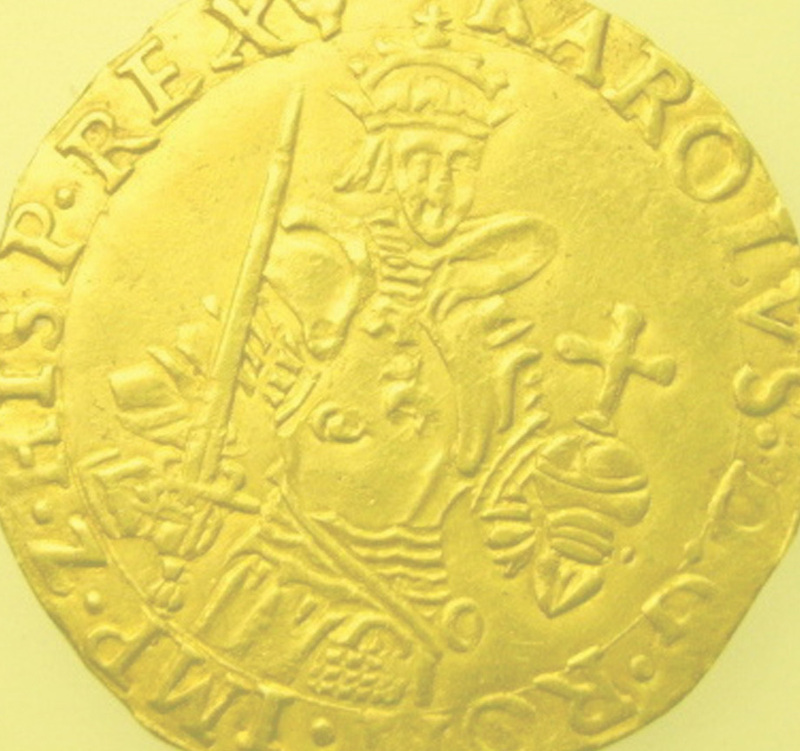 The English Currency dominated world trade from the fall of Napoleon until the end of the First World War. Meanwhile, Germany found a rich local vein in Salzburg which gave birth to the Dukat; and Amsterdam established herself as a banking giant, while issuing its own highly successful version of the Dukat. 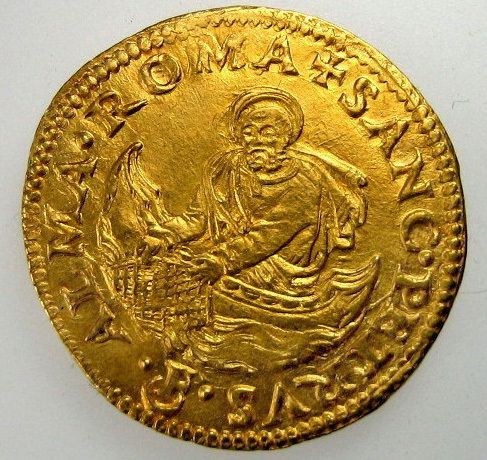 In Italy, powerful banking concerns ruled by the likes of the Medicis, the Sforzas, the Estes and the Popes (often from the preceding families), acquired great fortunes in gold; while Genoa and Venice used powerful navies to conquer much of the territory - and gold - of the fallen Byzantines. 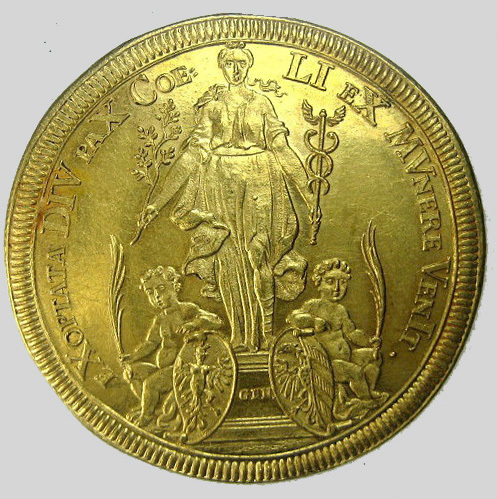 Double Ducat, 1655. Fr-247. (6.82g) Armoured figure holding sword upright. 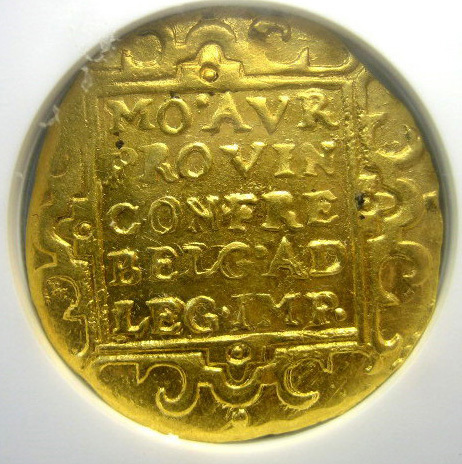 Reverse: Latin legend - MO:ORD PROVIN FOEDER BELG.AD LEG.IMP. (MOneta ORDinum PROVINciarum FOEDERatorum BELGicarum AD LEGem IMPerii): Rare in this condition. Dies by J. Reteke. 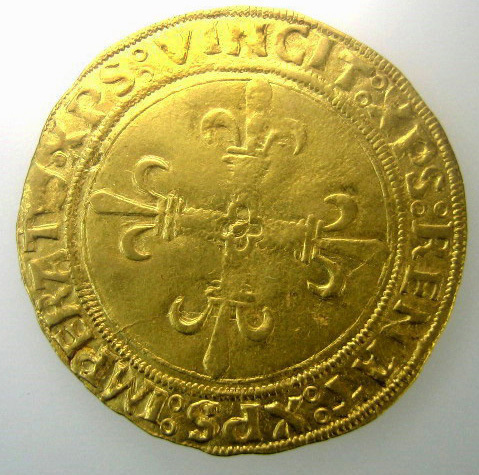 Very rare type struck during a truce in the war with Christian V of Denmark. 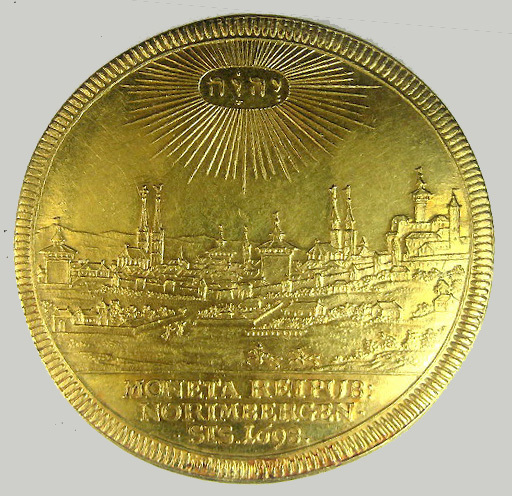 The obverse features allegorical figures embracing with a kiss, while the reverse depicts a similar figure with Jehovah above in Hebrew. Extremely rare. 4 Dukat 1682 (13.76g). For the 100 year anniversary of the reformation. Nimbate St. Martin of Tours in episcopal regalia with goose at feet, and the martyrs Vincentius, in deaconal vestments, Hermes, in military outfit, Chrysanthus, in military outfit and Daria, standing below clouds with rays of the sun breaking through.BR:3128 var., Pr:1580, Very Rare.